People often ask about the difference between On-Page SEO and Off-Page SEO. I hope the following will be helpful if you have questions about these topics. On-Page SEO means selecting the right keywords and creating original, useful, helpful, meaningful content around those keywords on your own website pages including meta tags, and visible content. It is important for the content on your website to have been posted recently, so updating pages often helps reset the file date and informs search engines that the site is updated frequently. Posting regularly to your own blog is also a good tactic for on-page SEO as this too shows search engines that the site is being actively updated. 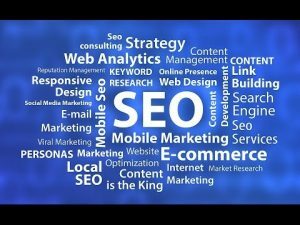 Off-Page SEO means creating links to your sites on other websites, including social media pages, blogs, discussion sites, and such. You still use your keywords and post snippets or entire articles from your site, telling other people about your site or blog posts. Search engines see links from topic related sites as an expression of the value of your site. The theory is that if other sites mention your site more than competing sites, then it must be good. They ‘score’ your site as far as how many inbound links you have from related sites. Both techniques should be used in harmony with a focus on the same keywords. Search engines will recognize the value of a site that does these things well. Such a site will be ranked well in the search engines for relevant searches. This is how you get your website found by people using search engines. If you have more questions about this topic, please let me know.